From a wall of glass, you have unobstructed spectacular sea views to St. Michael’s Mount, the beach,and far reaching views over Mounts Bay – recently voted one of the most beautiful bays in the world. Finished to the highest specification and fully loaded with quality appliances, the accommodation comprises a luxury en-suite bathroom with separate double rain power shower and whirlpool bath, solid oak flooring throughout, 49″ HD Television with Full SKY HD+ package, including movies & sports, BT Sports, high speed internet Wi-Fi, Bose Ipod docking station with Ipod with in excess of 18,500 songs, a luxury fitted kitchen with dishwasher, range cooker, wine cooler, fridge/freezer, washing machine & dryer. We think you’ll find it hard not to relax! 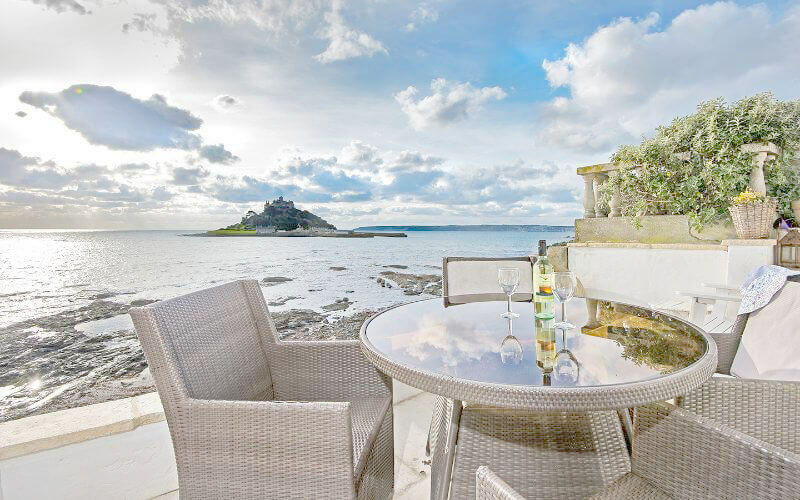 We have used our extensive experience to bring you the very best accommodation in Marazion. We have over 20 years worth of experience in providing top quality accommodation appliances & products. To carry our ethos forward into the products supplied and available at Cockleshell, we have incorporated the range “NATUR” from Caroline Henry of Bath, with her array of refreshing, wholesome and appealing soaps and heavenly scented goodies. 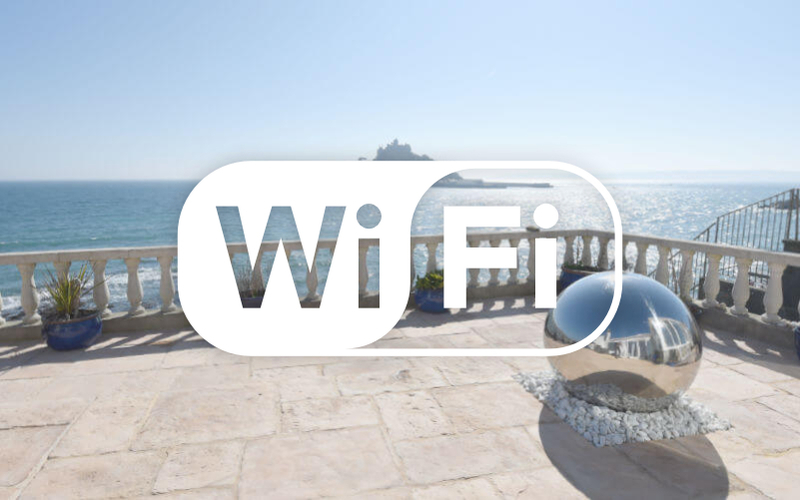 Cockleshell has a full BT infinity high speed broadband service, which also provides wifi throughout the property. We regularly check the speed which averages 38mbps. It can be a proposal,anniversary, birthday,“Your Special” or just “why not?” Let us know your requests, ideally before you arrive and we will do the rest for you!